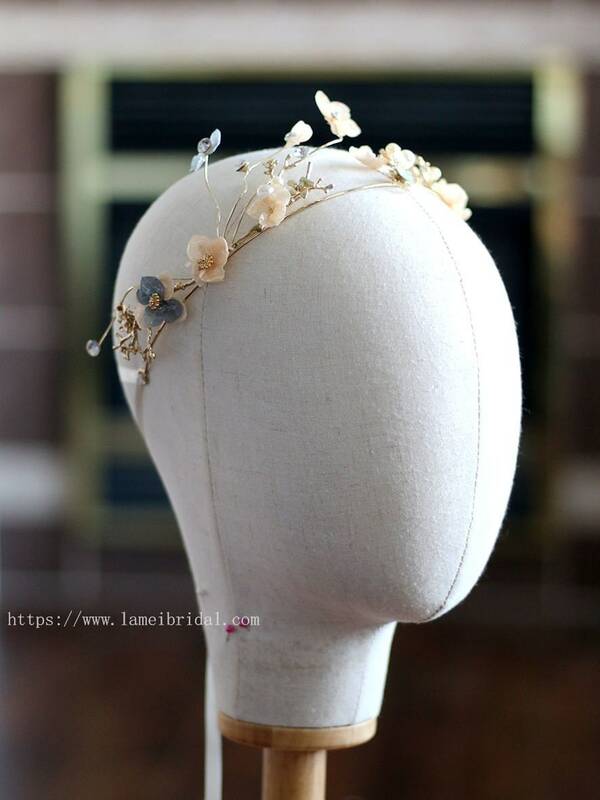 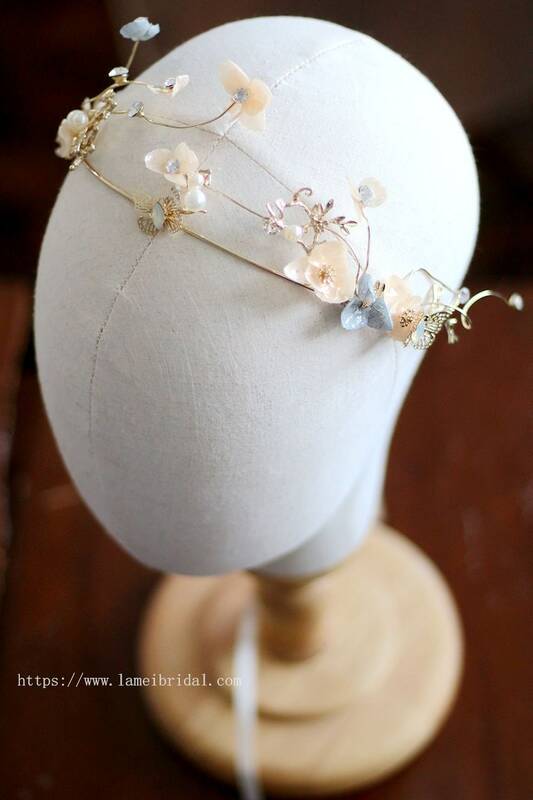 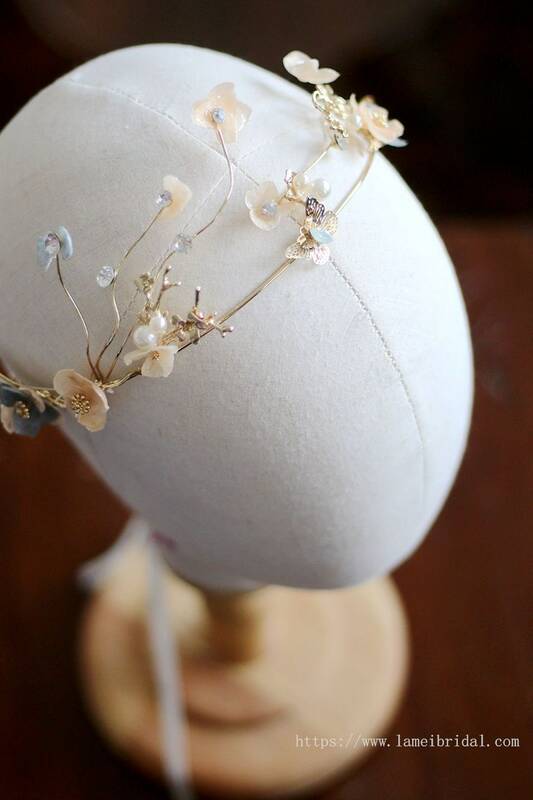 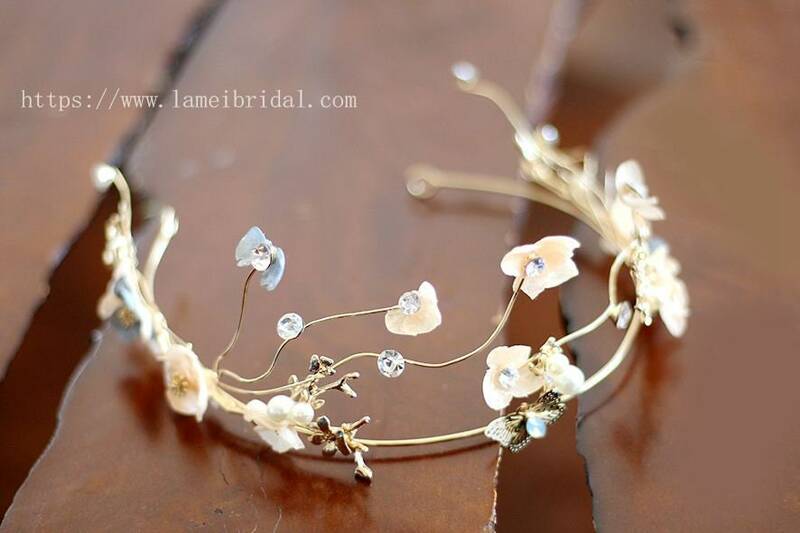 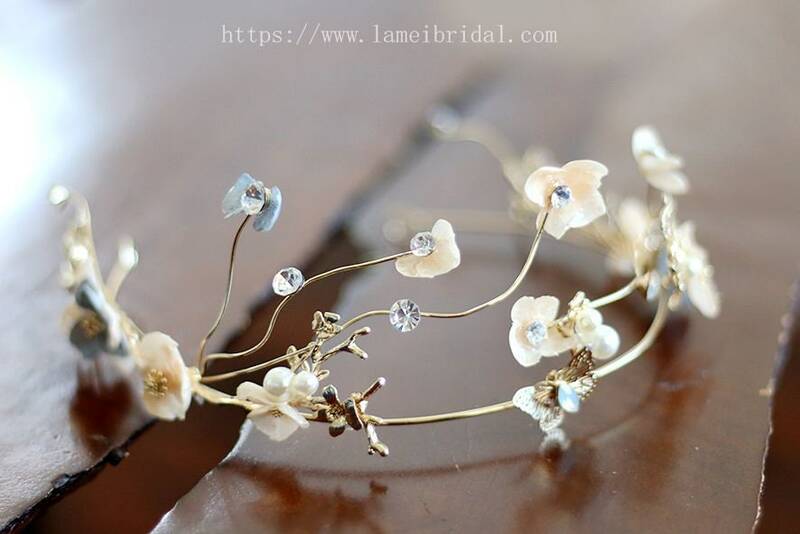 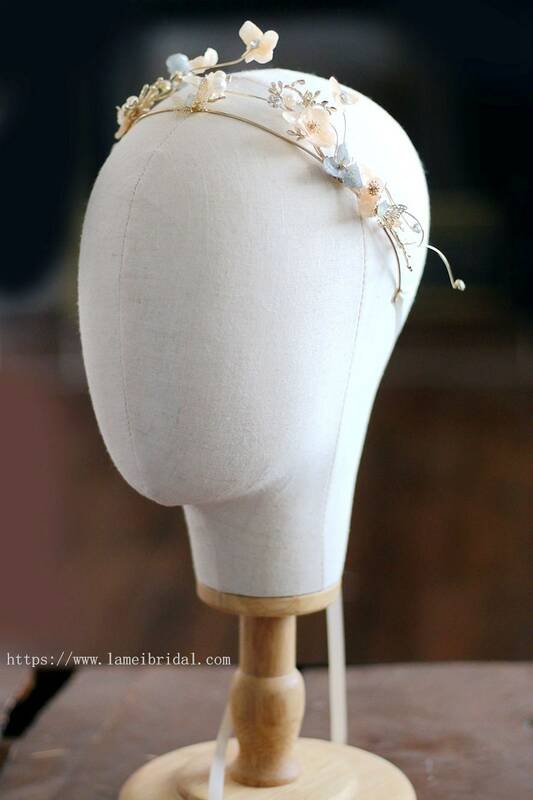 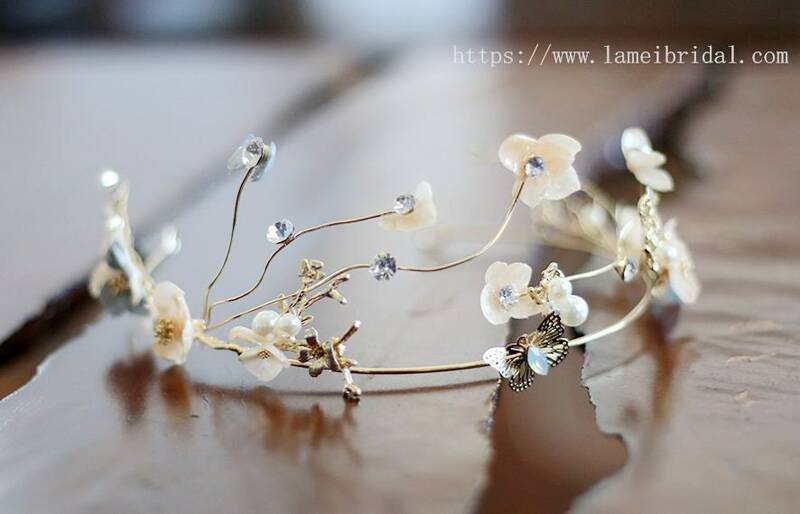 This sweet and simple elegant crown is made from tiny golden branches that are hand wrapped with golden ribbon on to a vine wire frame. 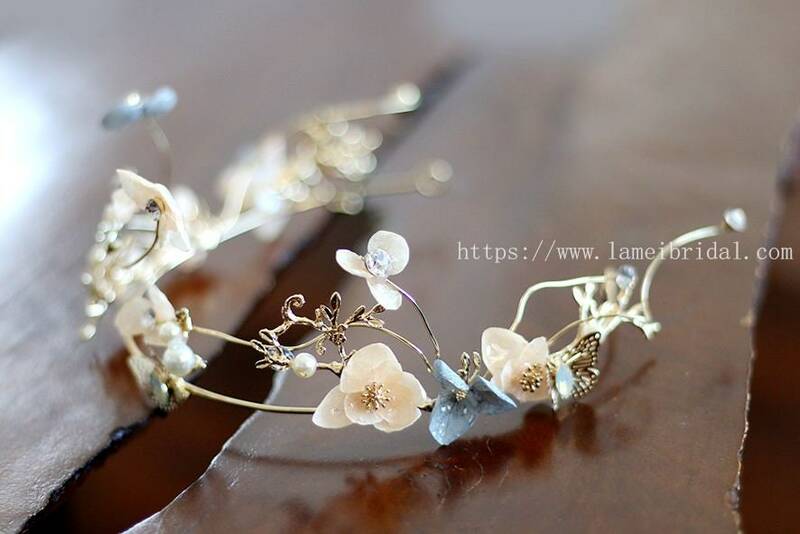 The frame is strong but flexible, so you can move it and get a perfect and comfortable fit! 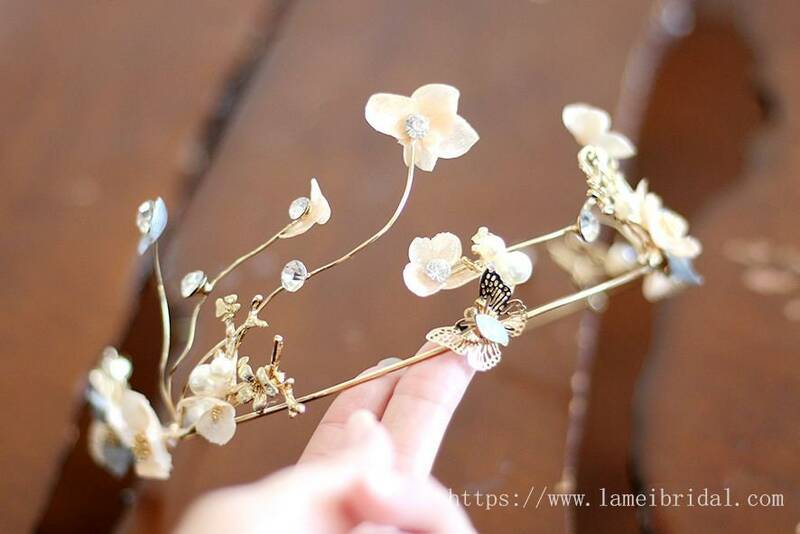 The little leaves are made of plastic, so they will never crumble or break. 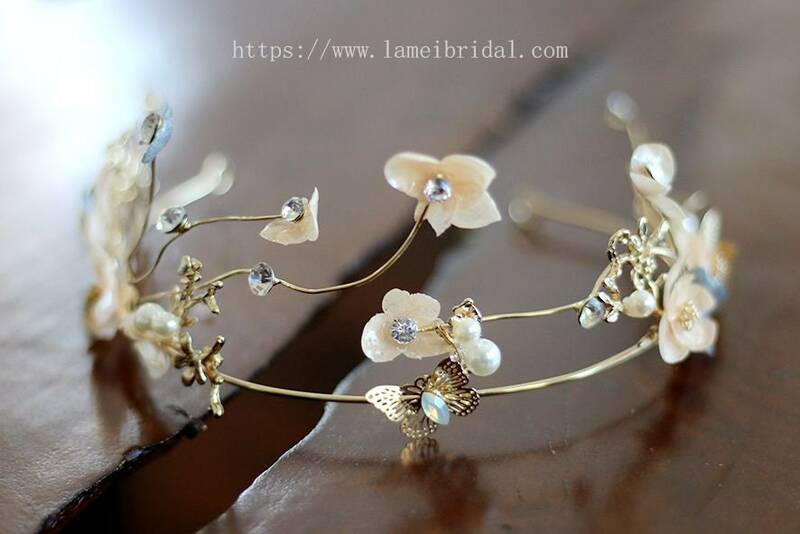 The are very realistic looking and look like metal until you actually touch them.